This mask lies underneath the protective roofing you can see on Templo 33 in the centre of image W0856 of the North Acropolis at Tikal. 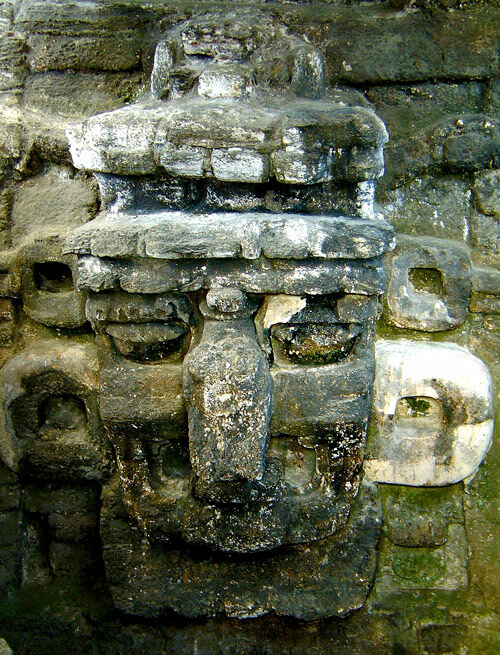 It appears to be of the rain deity Chaac and lined the stairway with another mask seen in image W0857. The temple was built in the 5th Century to house the late king, Siyaj Chan K’awiil I.